Preheat oven to 350 °F and line a baking tray with parchment paper. Place carrots on baking tray. Add olive oil, lemon juice and zest to carrots. Season with sugar, salt and pepper. Toss to coat and place carrots in one even layer. Roast in oven until slightly tender and caramelized. Approximately, 25-30 minutes. Set aside until assembly. 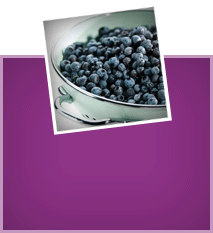 Place all ingredients, except wild blueberries in a pot, whisk and bring to a boil until sugar dissolves. 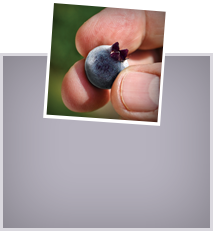 Add wild blueberries. Set aside until serving. Heat olive oil in a pot over medium heat. Add leeks, season with salt and pepper. Sauté until tender, approximately, 10 minutes. Add lentils and bay leaf to pot. Mix to combine. Deglaze with vegetable stock, bring to a boil, and reduce to a simmer until lentils are cooked, approximately 15 minutes. 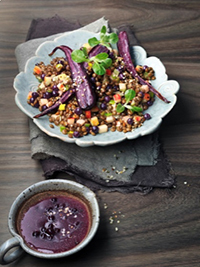 Add warm wild blueberry dressing to cooked lentils, mix to combine. Toss lentils with apples, pea shoots and toasted hemp seeds. Place on a platter with roasted carrots and serve.